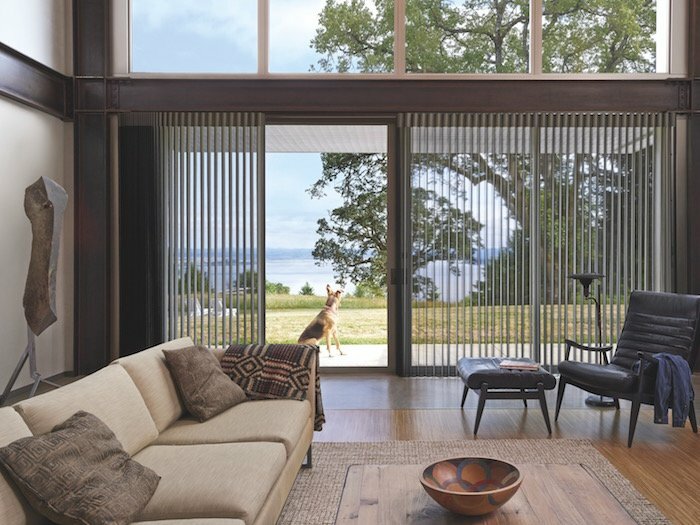 Hunter Douglas offers many great choices, such as Silhouette® window shadings and Vignette® Modern Roman Shades. If your living room has an entertainment centre, look for window treatments with glare-controlling or room-darkening features. 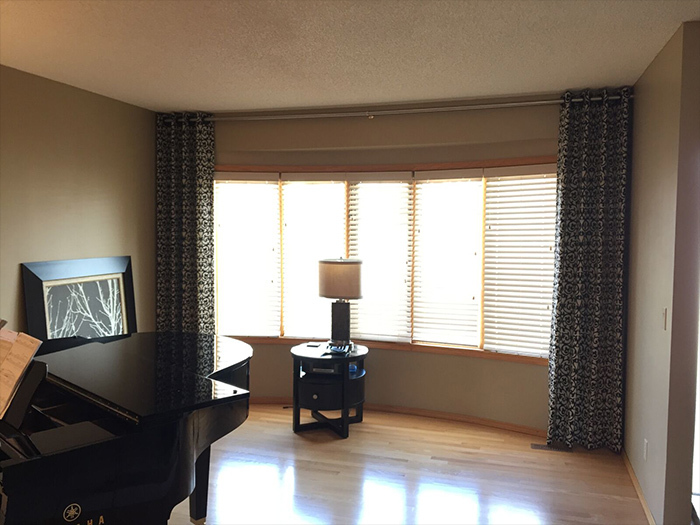 A great choice are Designer Roller Shades with a room-darkening liner.